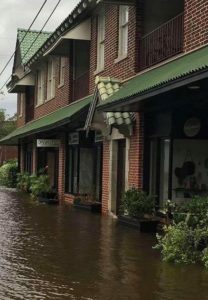 With an IICRC trained team of water damage technicians, Ready Restoration in Destin FL and Santa Rosa Beach FL understands water damage and provides water damage services like water damage restoration, water damage repair and water damage clean up. Our technicians will respond quickly to track any water damage in your home. Our experienced team will thoroughly map out where the water traveled whether it seeped past walls or dripped through the ceiling of a lower floor and work hard to restore the damage. Ready Restoration would like to be there every step of the way supplying all the skilled trades it takes to get your home or building back to perfection. We specialize in drying hardwood floors. We have specialty equipment to handle water damaged hardwood floors and restore them back to pre-loss condition. Don’t let the water sit there overnight or wait to hear from your insurance company. Following your emergency call, Ready Restoration can handle direct billing to your insurance company and save you the hassle. When water damage emergencies affect your home, you need a company that is able to provide emergency water damage repair & restoration no matter when the damage occurs. We are on call to assist with water damage emergencies 24 hours a day, and provide fast emergency water damage repair & restoration. Our team will locate the source of the water damage and track it to make sure we repair and cleanup every place water has traveled in your home. 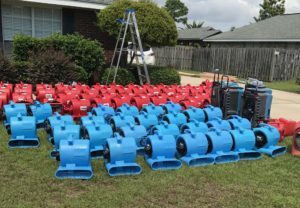 Ready Restoration will mitigate any further damage by using our top of the line equipment to ensure your water damage issues are stopped in their tracks. 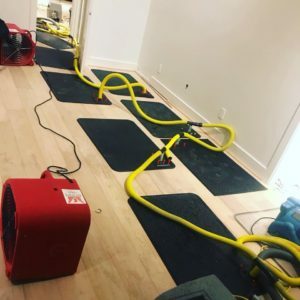 After the source of the water damage is located we will deploy the use of water extraction equipment, an array of dehumidifiers, air movers, and other special equipment. It is important to ensure everything is dry to prevent any further damage. Although we have stopped the home from experiencing further damage, the needed work does not stop there. 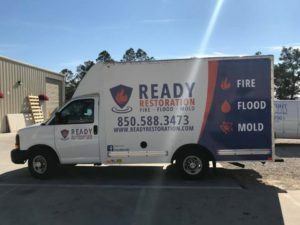 Let Ready Restoration of Destin FL and Santa Rosa Beach be your local water damage specialists and aid you in the restoration of your home.